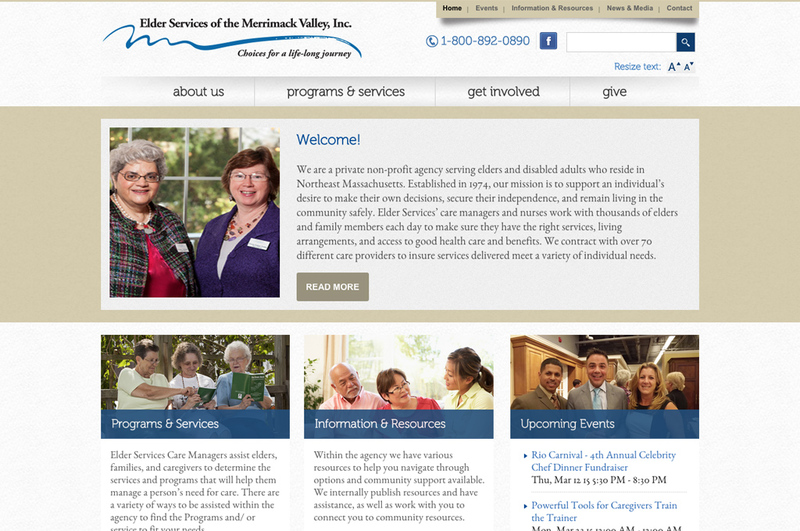 Elder Services of Merrimack Valley needed to improve its web user experience and provide user-friendly website navigation. 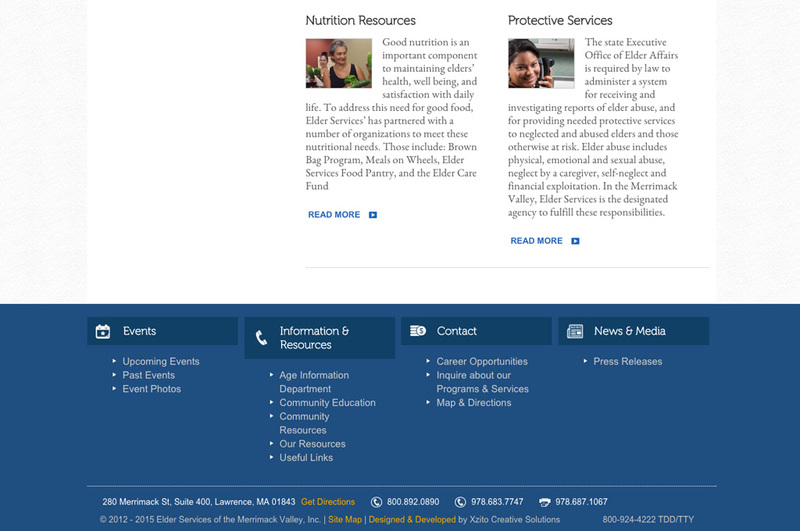 They also wanted to make it easy for the organization to update its website. 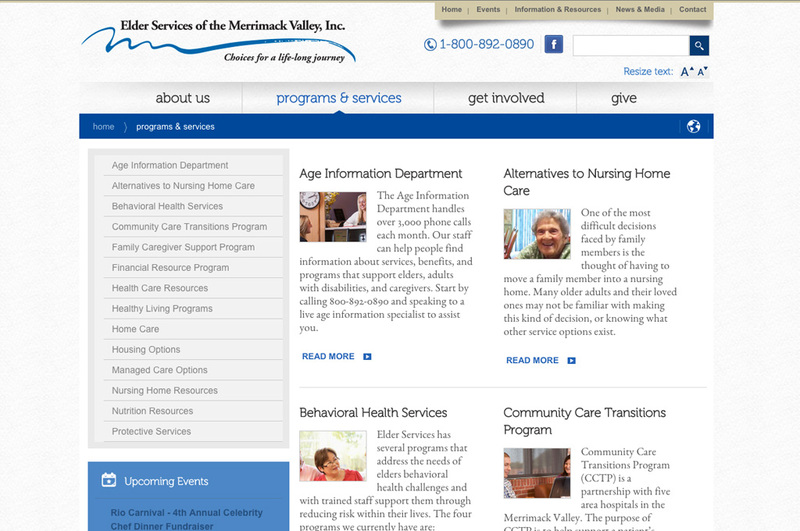 Xzito supported Elder Services of Merrimack Valley in the design and development of a new website. 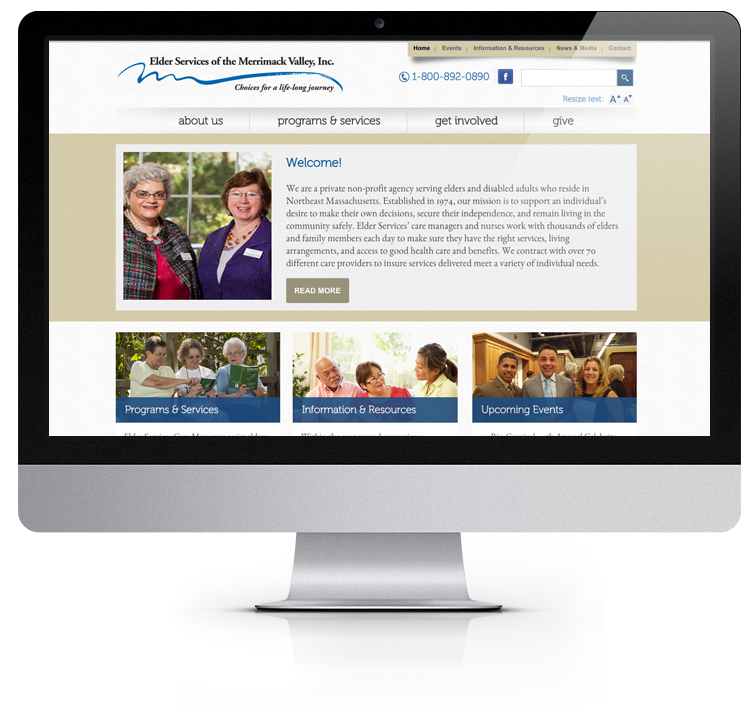 After evaluating and analyzing their organization's objectives for the website, Xzito added advanced functionality, self-management capabilities, advanced search, and multimedia visuals. 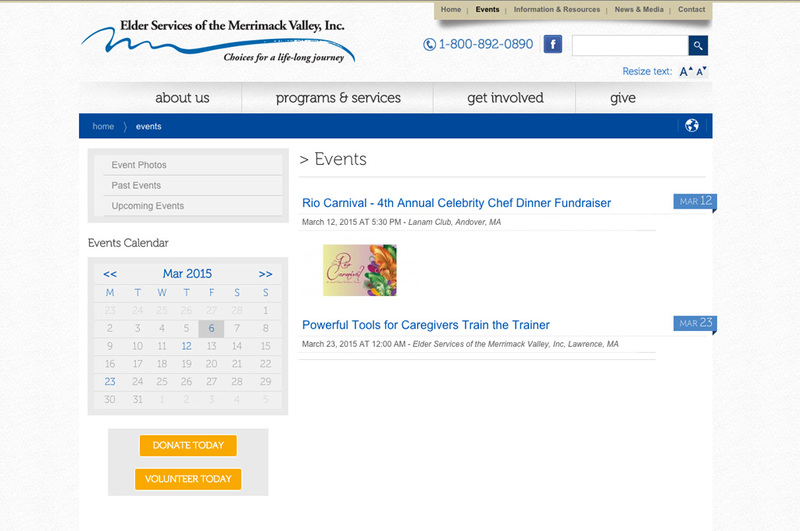 The website traffic increased by 46%. 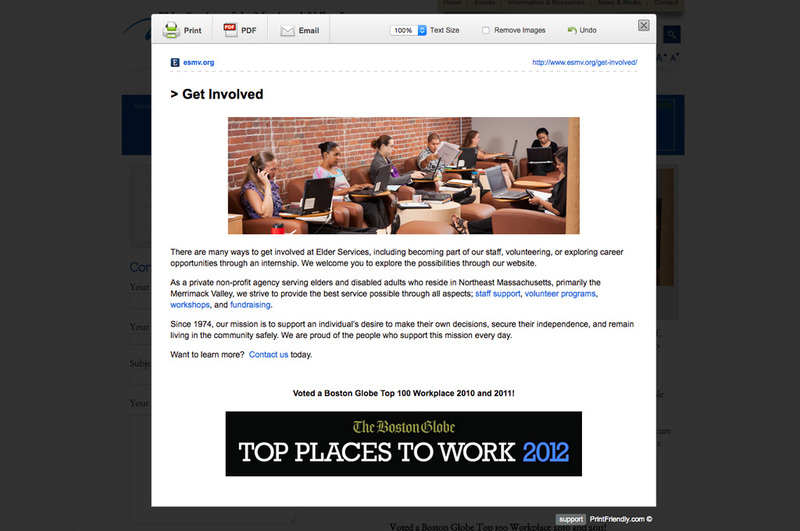 Now we have a complete system that’s really accessible to not only the user but on the backend for our employees as well. We really appreciated Xzito’s ability to guide us through what could have been a difficult transition. 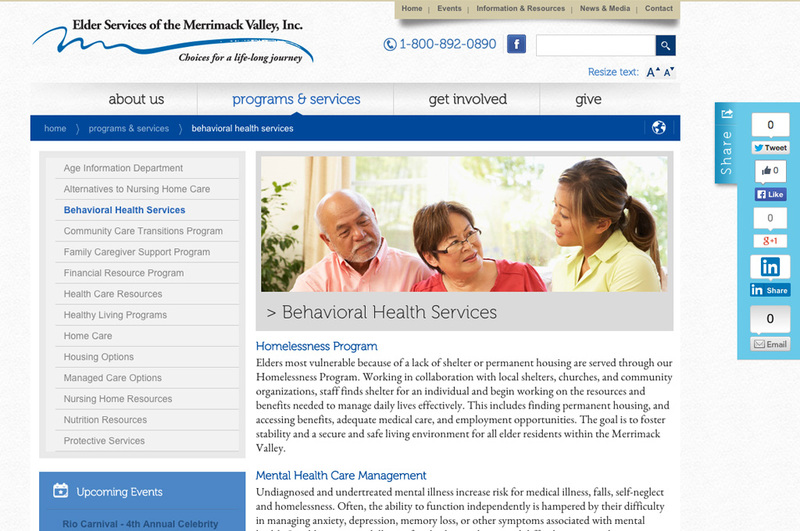 They helped us get the most from the typically tight budget faced by non-profits helped us make the right decisions as well."